Whether you manage one person or hundreds of people, you can influence those things that keep people engaged on your team and producing at their peak. You have more influence in the employee engagement and retention equation than anyone else. And, engaged highly productive employees help you, your team and your organization grow and excel. 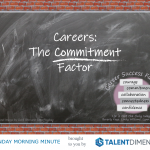 Bottom line, engaging and retaining talent is not something you turn on and off. It works best when it’s authentic and perennial and when you clearly believe in it and demonstrate in your actions with the people on your team. Talent is everything. As a manager, you know that. You need your talented people to stay with you. These people are critical to your success. Bersin identified 20 key drivers for engagement in his Predictions for 2017 report. These drivers are clearly highlighted in the international best-selling book, Love ‘Em or Lose ‘Em: Getting Good People to Stay. In the book, 26 strategies are outlined and leaders who use these strategies quickly emerge as Talent Focused Managers™ who are keeping employees engaged and satisfied in their jobs. Are you a Talent Focused Manager™? 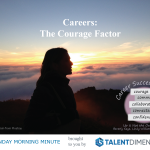 Download and read the descriptions of the attitudes of Talent Focused Managers.